Wearable technology is growing in popularity with every passing day. Most everyone has used them or knows someone who has one. There are so many different variations, where do you even start with trying to figure out which one is right for you and your goals? There are two main categories of wearable fitness trackers. These are step counters and heart rate monitors. The step counters do exactly as their name describes: counts steps. Step counters are usually for people who want to track overall fitness just through their steps in a given day. Heart rate monitors track your overall workout output by tracking your heart rate and how hard you actually work. Depending on the technology, it will also be able to track calories burned. The problem with most heart rate trackers is that they are on your wrist, which makes them inaccurate. Wrist monitors are constantly moving around, and the wrist itself doesn’t have a strong enough pulse to be able to read accurately. The most accurate heart rate trackers are the ones with chest straps since it keeps the movement to a minimum, and it is directly above the heart for a real accurate reading. 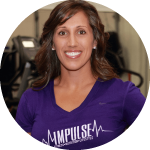 Here at Impulse, we endorse the MyZone system, which is a heart rate tracker. The MyZone is a single chest strap that is 99% equal in accuracy to an EKG. The system also allows for tracking your calories burned, and it does this by tracking your heart rate. The system allows for up-to-date tracking of your workout by either your phone or a MyZone enabled facility. To see how hard you are working just by seeing which heart rate zone you are in, use the app on your phone or the screen inside the enabled facility. MyZone also allows you to be friends with other users through the app. You will be able to see other people’s workout statistics, comment on them and interact and push others to keep getting their fitness results. If you need anymore reason to get a MyZone belt, MyZone has now been named the overall winner at the Wearable Awards for 2016. I hope this article was able to help anyone lost in the oversaturated fitness technology world. The most important thing to remember is that these technologies are only there to enhance what you are already doing. You need to find what works for you and your personal goals above anything else. Wearables should only be there to help keep you on track and help push you to the next level. 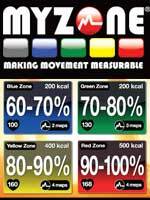 Visit Introducing Myzone to see what the fuss is all about, and see how you can get a discount on your belt!